Fiesta Hotel Group has a new name, Palladium Hotel Group, which will encompass all of the group’s properties under its eight brands: the Royal Suites by Palladium, Palladium Hotels & Resorts, Fiesta Hotels & Resorts, Ushuaia Ibiza Beach Hotel, Ayre Hotels, Sa Talaia Boutique Villa, Mallorca Rocks Hotel and Fresh Hotels & Apartments. “The rebrand to Palladium Hotel Group is the next logical step as Palladium Hotels & Resorts continue to gain exposure and loyalty in the international arena. As we continue to grow globally, it is vital that we play on our strengths, and Palladium offers an important set of standards such as high quality, service and added-value that we feel are fundamental to the success of the organization,” said Juan José Calvo, group commercial director. 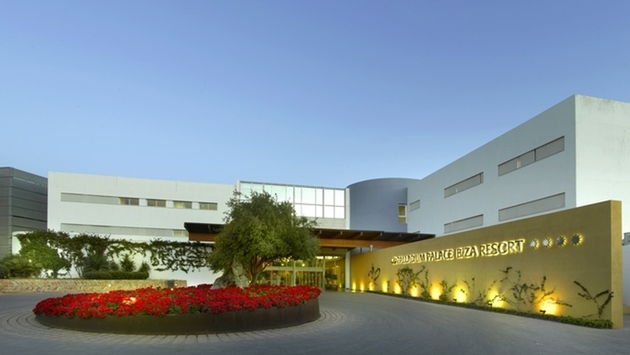 The Spanish hotel group owns 48 properties in six countries and has ambitious expansion plans both in Europe and the Americas with two new openings planned for 2013. The Palladium Hotels & Resorts brand was first launched by Fiesta Hotels & Resorts in 2002 with two luxury eco-resorts in Riviera Maya, Mexico. Since then, the Palladium brand has grown to achieve global recognition as a high-quality, luxury collection of 15 properties in Mexico, the Dominican Republic, Jamaica, Brazil and Spain.